Roxi Suger started her fashion line, Angelrox, with “American comfort” at the forefront of her mind. The line, which she first launched in New York City, came with her to Maine in 2013 when she opened Suger, a shop on Alfred Street in Biddeford that sells the Angelrox line and a host of cool apparel, jewelry and accessories made by other designers. Last spring, she opened her second store on Commercial Street in Portland. The entire Angelrox line is hand cut and stitched by her “wonderful, hard-working team in the historic Pepperrell textile mill of Biddeford, Maine,” she says. The clothes are stylish and comfortable—offering function and form—and are made from all-natural fabrics like bamboo and organic cotton. In addition to the plant-based fiber, the colors of the line hint at nature. The blue-gray of the deep sea, the deep green of spruce, the strong purple of an eggplant. 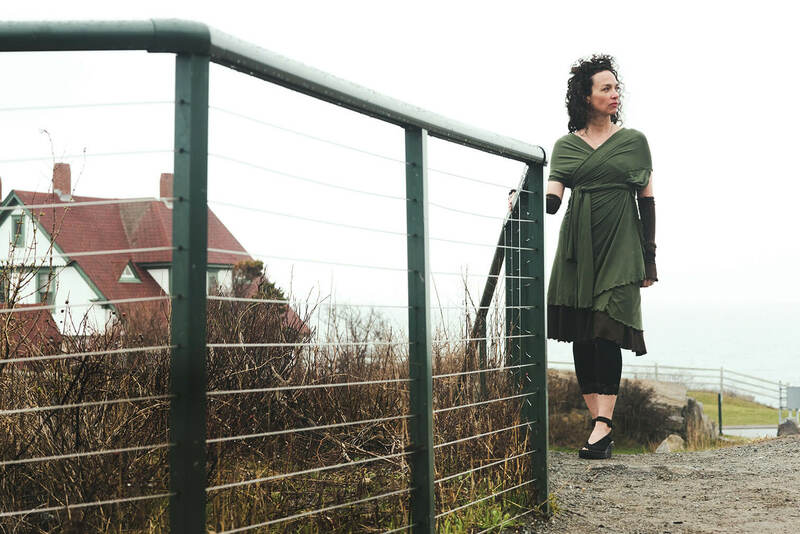 Angelrox offers non-traditional sizing, too, that is “inspired by joy instead of judgment.” There is no “small, medium or large” to be found, but ”bird, song and joy” instead. Suger says she recognizes each woman for her individuality—an individuality that should be celebrated. The clothes make for excellent “non-restrictive comfy base layers” that allow your skin to breathe and allow you to move. Some pieces have extra touches to make you feel great in them. Such is the case with the playsuit, which offers gentle support in the tummy and bum area and can be layered for comfort. And best of all, they travel well. Suger chooses “cozy stretch knits that support and flow,” she says. The pieces—such as the formal wrap of the cardigan—look polished but feel as comfortable as your favorite pajamas. And the stretch knit pieces can easily be rolled up and tucked into your luggage. “Being able to engineer a simple bit of cloth into something that can transform the way a woman feels about herself is powerful and humbling,” says Suger. 1. Roll your outfits together as one and bind them with a hair band. You will feel extremely organized when you reach your destination and outfit planning is done. 2. Wear items with pockets to keep all your goodies such as money, phone and identification close at hand. The pockets on the coca blazer make it the perfect layering piece for easy travel. 3. Save space with fabrics like Angelrox’s stretch knit pieces that pack small and lose their wrinkles with the heat of your body while you wear them. 4. Prioritize versatility. A favorite Angelrox design is the wrap, which can be worn as a shawl, vest, skirt or dress, depending on your mood or the occasion. 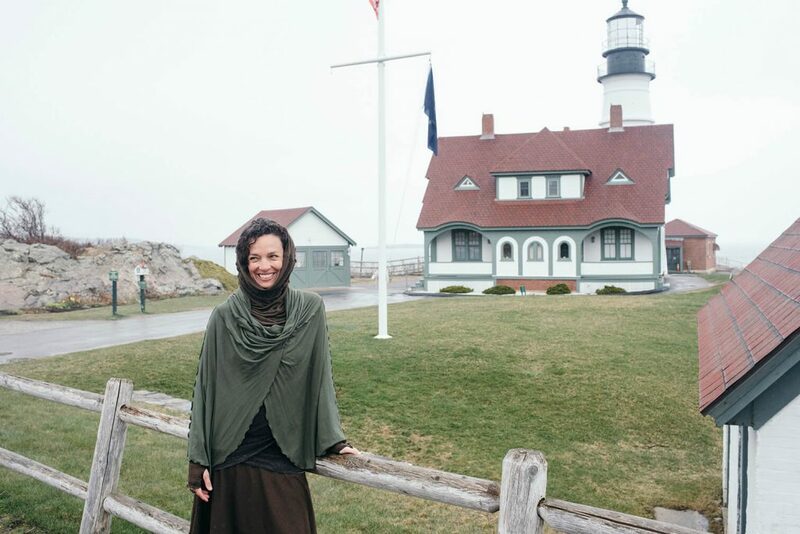 Editor’s note: Roxi Suger is a member of the Maine Women Magazine advisory board.